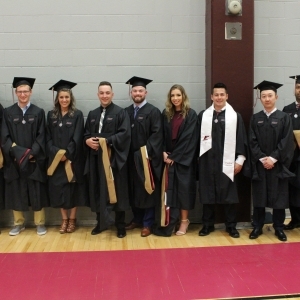 Twelve students wrapped up their MBA coursework and prepared to walk the stage for an evening ceremony on Friday, May 11, in EKU's Alumni Coliseum. 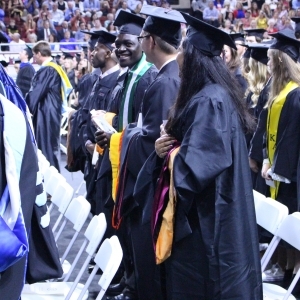 The graduates were honored in a special hooding ceremony before friends and family during the college's graduation ceremonies. And that is why Eastern Kentucky University’s School of Business, in a spirit of continuous improvement, has redesigned its Master’s of Business Administration (MBA) degree program. EKU's Master of Business Administration celebrates spring 2017 graduates. Twelve students completed their program and were honored in a special hooding ceremony before friends and family during the CBT Spring Convocation. The evening ceremony was held in EKU's Alumni Coliseum on Friday, May 12th. EKU's Master of Business Administration is pleased to announce six students have completed their program. In a special hooding ceremony, MBA candidates were recognized before friends and family during the CBT Fall Convocation. 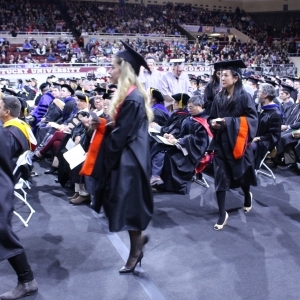 The evening ceremony was held in EKU's Alumni Coliseum on Friday, December 17th. 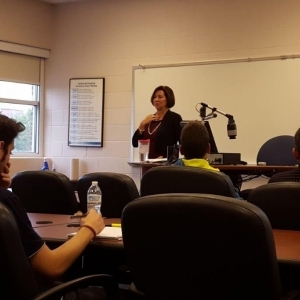 On Monday, October 3, Dr. Isaacs’ MBA Managerial Accounting class heard from Jennifer Burke, partner at Crowe Horwath LLP. 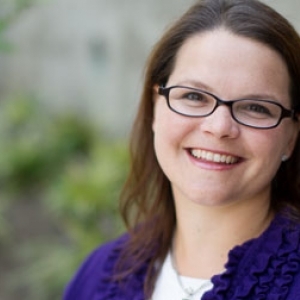 Burke is a nationally recognized expert and speaker in Enterprise Risk Management (ERM) and Internal Audit. 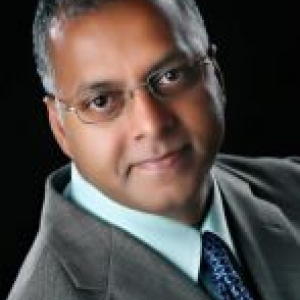 EKU Master of Business Administration alum, Ramakrishna (Vasu) Vasudevan, has been appointed to EKU's Board of Regents. Appointed by Gov. Matt Bevin on Fri., Aug. 12, Vasudevan joins Lewis Diaz in new six-year appointments to the Board. EKU's Master of Business Administration is pleased to announce that 11 students have completed their program. In a special hooding ceremony, MBA candidates were recognized before friends and family during the CBT Spring Convocation. The evening ceremony was held in EKU's Alumni Coliseum on Friday, May 13th. 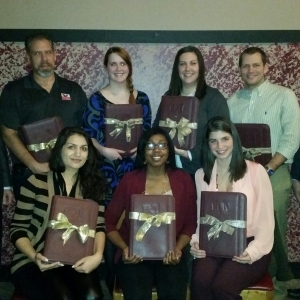 On December 11, 2014 the School of Business and the MBA Program honored seven MBA graduates. Pictured back row left to right: Dr. Ed Fenton, Doug Schatz, Katherine Fischer, Kayla Goins, Brian Elkins, Dean Tom Erekson. Front row left to right: Gajana Siddiqui, Raechele Gray, Brittany Neaves. 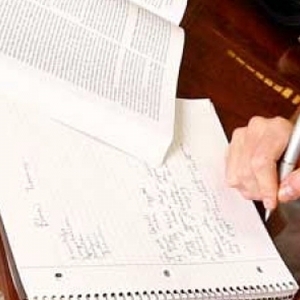 Why did you decide to enter the higher education field? 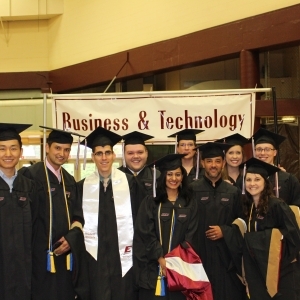 On May 6, 2014 the School of Business and the MBA Program honored 14 graduating MBA students. 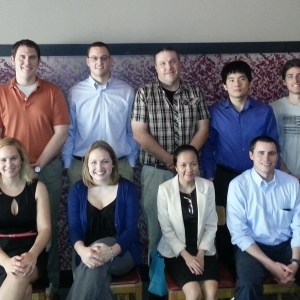 Back row from left to right: Amber Gray, Nicholas Vicini, John Tudor, Joseph Carlson, Jerry Yang, Emilio Piriz Fernandez, Jaclyn Moore. Front row: Nicole Zullo, Ilse van der Veeken, Bethany Warner, Tra Le, Cody Swords, Emily Williams.